Trees often add to the value of your property, serving as a well-maintained focal point or supplier of some much-needed shade. However, there are those instances that damaged trees and scattered tree stumps take away from the beauty and health of your land. 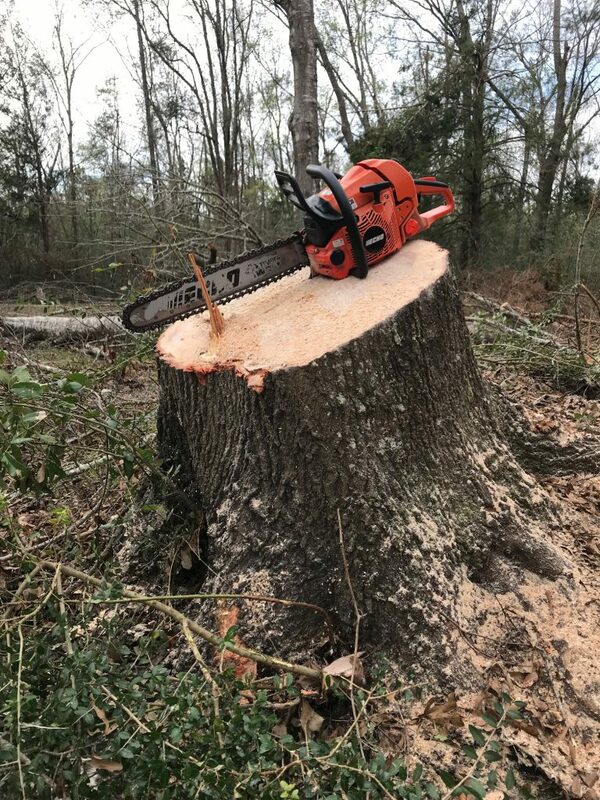 At Southeast Land Clearing, we strive to establish growth maintenance with every piece of property we work on, and that is in part due to our exceptional tree removal and tree stump removal services in Milton, FL. No matter the size of the project, our licensed and insured team can take on the task. We believe that tree removal and stump grinding can help to clear your land, making it safer and more easily accessible. Equipped with the latest Caterpillar Forestry tools, we are able to safely and efficiently remove any damaged trees or unwanted stumps that may be hindering your property. Our professional tree removal services in Milton, FL work towards our overall goal of growth maintenance. Often in Florida, properties struggle with overgrown vegetation or dangerous debris that make it unable to be of any use to landowners, contractors and farmers alike. With proper growth control established through our tree removal and stump grinding services, we are able to restore your land to a healthy and clean piece of property. If you are experiencing overgrowth, excessive vegetation or unwanted trees or stumps on your property, call on the experts at Southeast Land Clearing. We offer quality tree removal and tree stump removal services in Milton, FL at very competitive rates. Contact us to take advantage of our professional services today!